Happy New Year! I trust you all made it safely into 2013. We’ve been going through quite a number of wines here up north, but there weren’t many exciting wines among them. There were some that I had already written about and they did not seem very different so I felt no need to write about them. Last night though we did have two interesting wines. My mother in law had made a bean and ham soup and we had this bottle of Banfi Chianti Classico Riserva around that I thought might be worth trying. Banfi is one of the biggest wineries in Italy. I initially learned about them by trying the Rosso and Brunello di Montalcino which I both liked quite a bit. 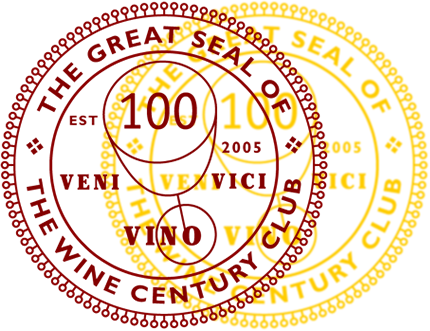 Over the years, they have expanded and now produce a host of wines from different regions in Italy. I am not very impressed with their cheaper wines (the Col di Sasso, for example, is just rather bitter and unpleasant). I had not had a chance to try their chianti classico riserva until last night. The wine aged two years in Slavonian oak and an additional 6 months in the bottle. It is the 2008 harvest and has 13% ABV. The wine is made with Sangiovese, Canaiolo Nero and Cabernet Sauvignon. It was not decanted and drunk straight after opening. It poured in a lighter red color with slight browning on the edges. On the nose it had prominent cherry and berry aromas. On the palate, I got light bodied wine with a good level of complexity. Several layers of aromas, among them cherry, blueberry and some vanilla worked nicely together. The wine had hardly any noticeable acidity, good tannins and ended in a quite long finish. It was really tasty. I am not sure it worked well with the soup, the flavors did not really complement each other and made the wine too vegetable for my taste. But on its own, I enjoyed it a lot. I am a sucker for good chianti and this one worked for me. My fellow blogger Rachel blogged about this wine here. After dinner, we opened a couple of jars of fruit mustards and had them with different cheeses, one of Nina and my favorite pastimes. 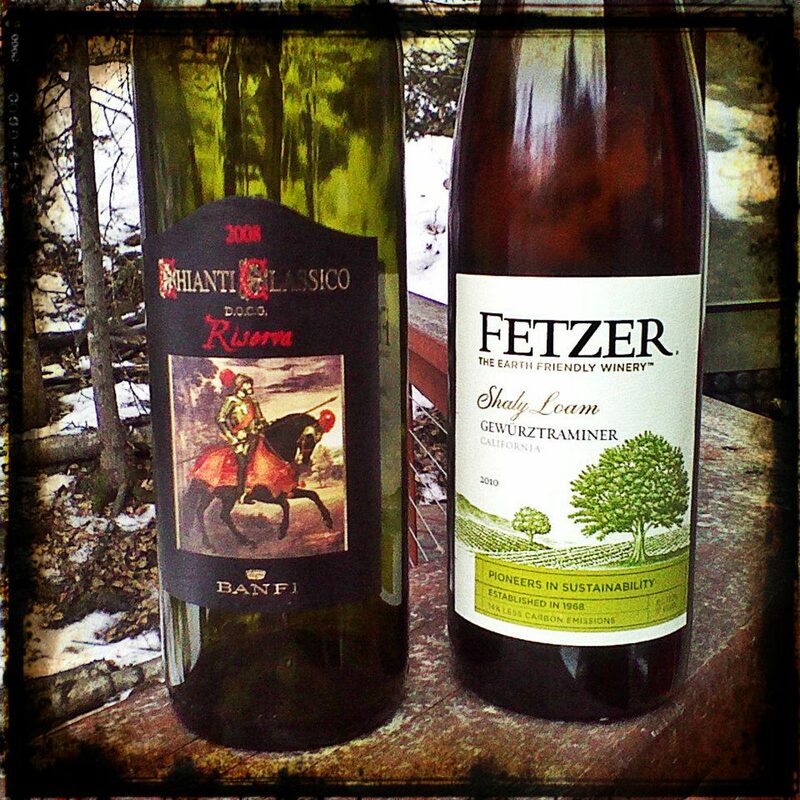 I rummaged through the wine collection at my in laws and found the 2010 Fetzer Shaly Loam Gewürztraminer which I threw into the freezer to bring it down to drinking temperature. I am not very familiar with Fetzer winery, a big California producer. I do like a good Gewürztraminer, which I also think should be more on the sweet end to bring out all these marvelous fruit aromas. It is difficult to achieve a good Gewürztraminer though, because the grape easily produces overbearing wines. This one poured in a clear yellow color. The nose was exciting: lychee, gooseberry, papaya, and all sorts of other tropical fruit. It also had a rather alcoholic nose (when I checked, it had 12% ABV, quite a bit for a white wine). On the palate, it was very sweet, on the heavier side of light bodied and combined the aromas I found in the nose in a sugary fashion. The alcohol was prominent and I was not fond to find such a sweet white wine with such a high alcohol level (I know, I am a German riesling snob). It just did not work. The alcohol destroyed potential delicacy, but the sugar also hurt the fruit in the wine. It is hard to wrap my head around it. It just seemed a bit all over the place, without really showing what the grape is capable of. That was kind of sad…that said, it was finished easily. Slavonian oak? Interesting, first time I come across this thank you for enlightening me :) The Chianti sounds lovely and I am looking forward to trying. I’ll have to check the vintage of the one we stock at our store. Yeah, I first wrote Slovenian oak, but then I double checked and it said Slavonian…it really was pretty nice. Absolutely: Gewürztraminer is so tricky, and all too often I had German ones that were way too sweet, as was the problem with this one. Add in the 12% ABV and it was difficult anyway for me…I am definitely learning here! The Banfi Chianti Classico sounds like a winner. I usually view anything from Fetzer as a last resort over a carafe of “house wine.” I just think they are too big of a producer to create anything but bulk wines, but saying that I will still open a bottle from time to time and I would have tried that wine as well. Thanks John, you mirror my feelings. The funny thing is that both these producers are churning out quite a number of bottles each year. Thanks for the shout-out! Happy New Year! “that said, it was finished easily.” Hah!